We understand the stress of having a plumbing emergency. Whatever yours is, we’re here to help! We aim to get someone to you as quickly as possible and start fixing the problem straightaway. That’s why we have plumbers available to work 24-hours a day, 365-days a year. They can be booked to work in any postcode district within the M25. Our team of plumbers covers all cold-water job types. We also have specialist drainage tradesman to deal with blockages and gas heating engineers for hot water issues. They all carry specialist equipment. So whatever plumbing or drainage emergency you have, we’ve got an expert tradesman ready to help. We're fully trade accredited and all our plumbers are vetted and trade accredited experts. In addition, the Aspect Guarantee covers our tradesmen's workmanship for up to 12-months. 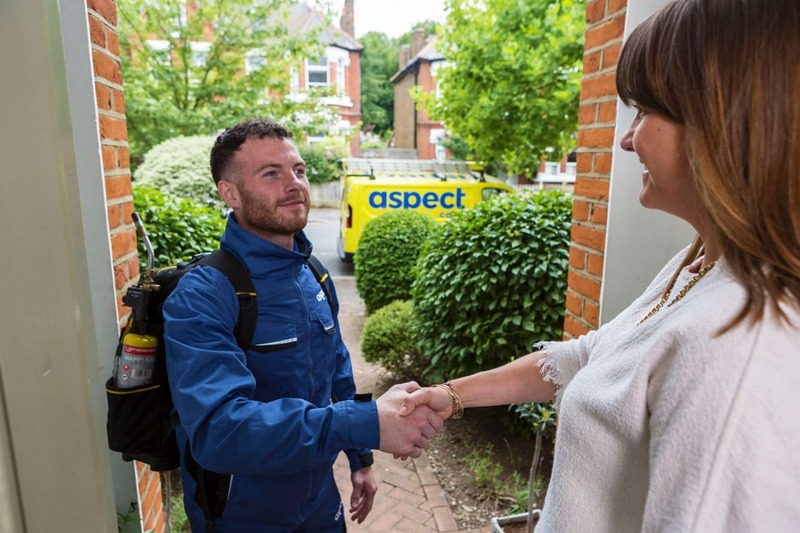 When you book and Aspect plumber you can count on getting the professional expertise you're looking for.